Today in rainy Colorado Springs (thank goodness!) 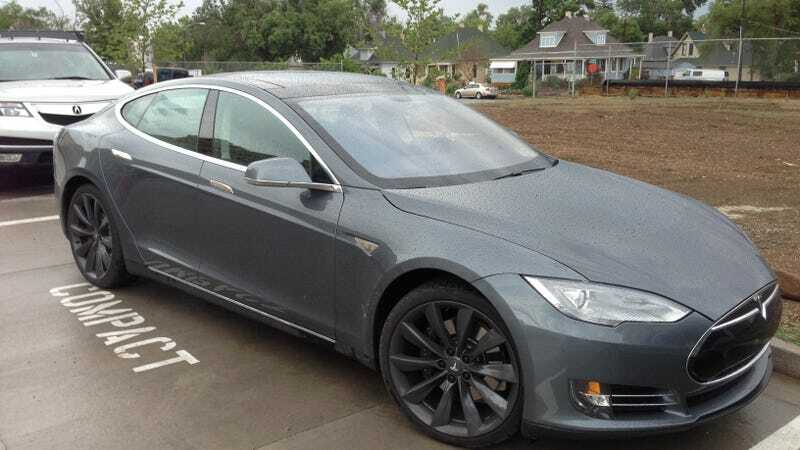 I saw a really nice Tesla Model S in a fantastic shade of grey. The rims were particularly nice. They are the 21" optional rims available on the Model S Performance edition. This car also featured the all glass panorama roof. In person, the Tesla Model S is incredibly attractive. They've really started to pop up all over. I first saw one in San Francisco last year, which was no big surprise, but just last week I saw a few in Hawaii, this grey specimen is the third I've seen in little Colorado Springs.